Quality Assessment. 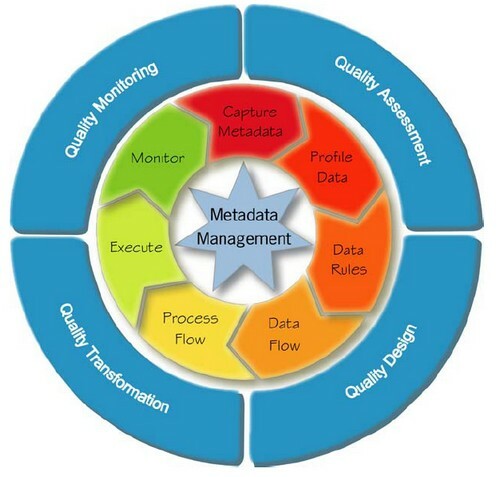 Part of the process of refining data quality rules for proactive monitoring deals with establishing the relationship between recognized data flaws and business impacts. Starting at the 12 o’clock position, the metadata about data sources is captured. Next, the data sources are profiled. The data rules are then derived from data profiling or existing data rules are imported or entered manually.